Taking a good picture is all about knowing how to pose, and which angles look the most flattering. 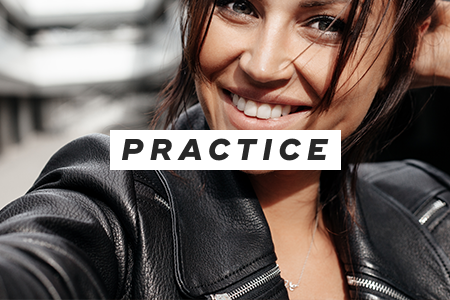 Practice different poses in front of a mirror or use your camera's self-timer until you discover which poses are the most photogenic. Did you know that most people don't have symmetrical faces? That's why you should explore different angles until you discover which ones play up your features. 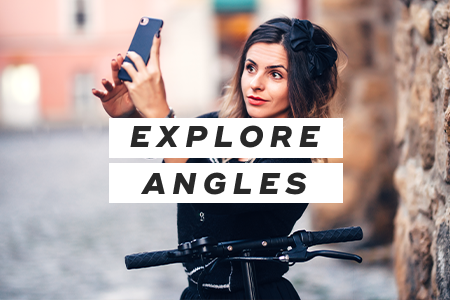 Try snapping pictures from left and right angles, and compare them. If you know you're going to be photographed, wear a little bit of makeup. 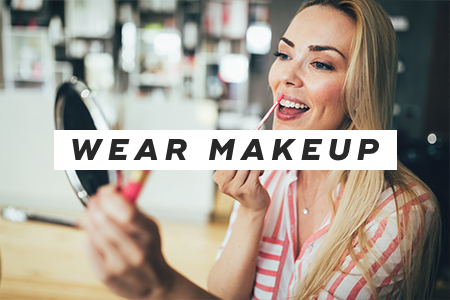 For instance, you might swipe some dark brown eyeliner across your eyelid, add some mascara, and apply tinted lip balm to your lips. Wear colors that suit you and complement your eye color rather than wash you out. You don't want to look like a deer in the headlights. 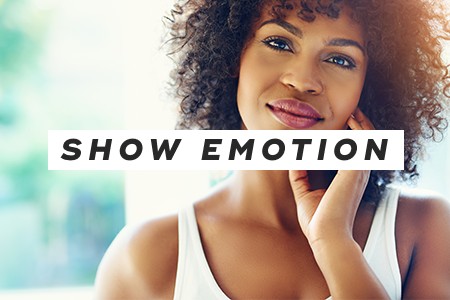 That's why it's important to show some emotion in photos. Soften your eyes a bit, and think of things that make you happy. You want to end up looking relaxed, content, and approachable. Be mindful of how you position yourself in photos. Turn your body to the side, stand tall, move your arms away from your body, and place one foot in front of the other. This pose will show off your waist and make you appear slimmer and taller than you actually are. Anyone can be photogenic in pictures. 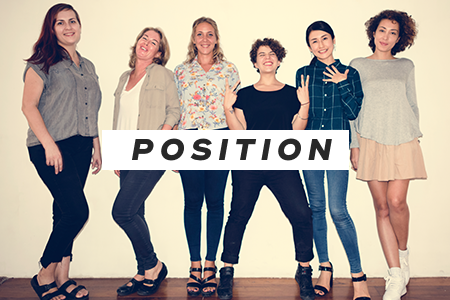 It all comes down to wearing flattering makeup and clothes, practicing different poses in front of a mirror, finding your best angle, genuinely smiling, and positioning your body in a flattering way. Don't be afraid to experiment with lighting, too. "25 Tricks to Look Better in All Your Pictures," Stylecaster, n.d.
"Five Tips for Becoming More Photogenic," Cupcakes and Cashmere, March 17, 2014.